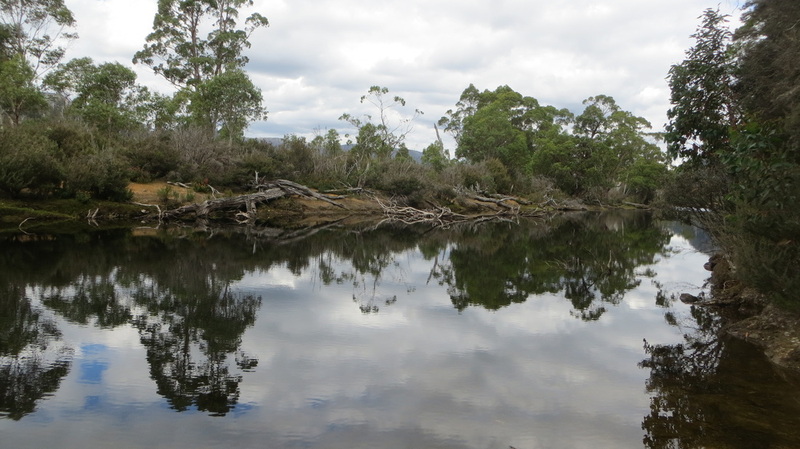 From Pine Valley, its time to re-join the Overland Track, so go back the way you got here and join up with the Overland Track once more, and in around 4kms you will reach Narcissus Hut. The walk to get to the Hut will include a 400m long boardwalk and cover open plains with good views of Mr Olympus. 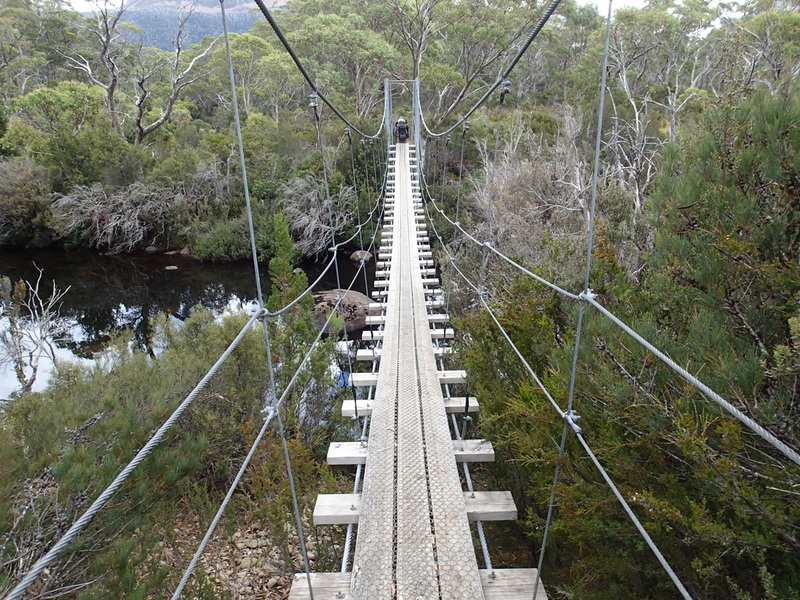 A suspension bridge over the Narcissus River, leads you onto Narcissus Hut. 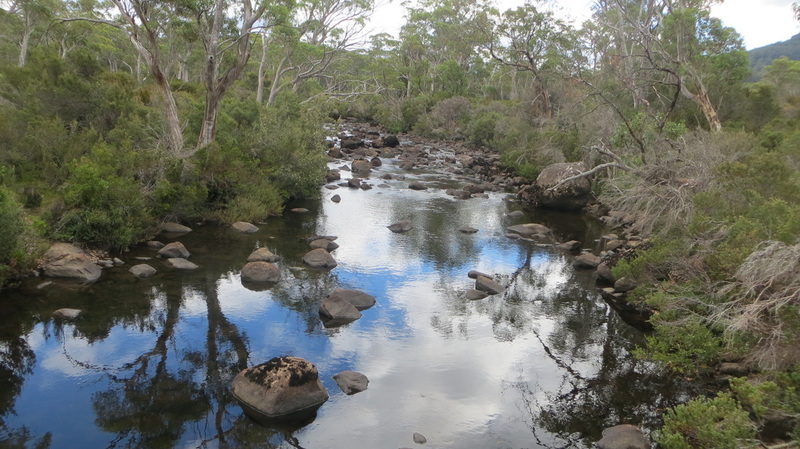 For many hikers, this is the conclusion of the Overland Track. The Track has not ended though, despite many leaving it at this stage. They catch a ferry back to Cynthia Bay but for some, myself included, will continue on to the end of the Track. 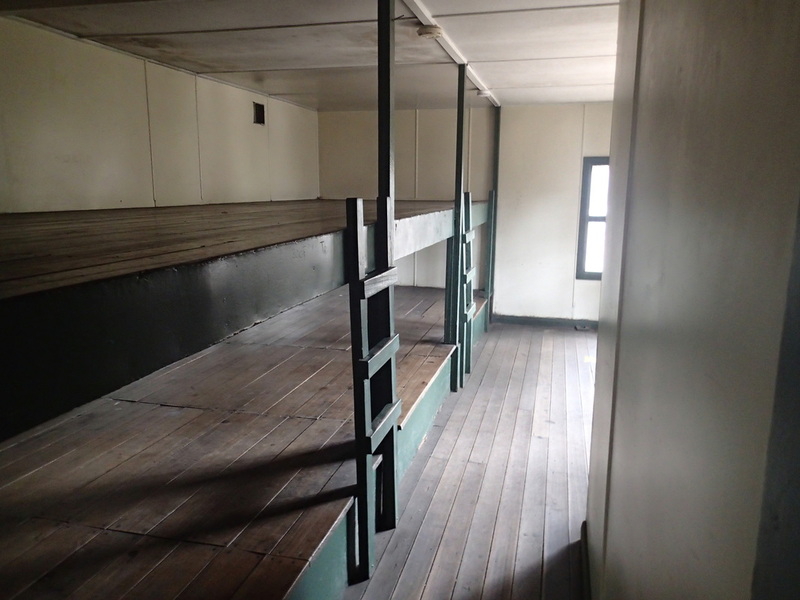 Narcissus has an old galvanised iron hut that will sleep up to 28 people but there are also plenty of campsites around the area, including lots of places to camp with easy access to the lake. 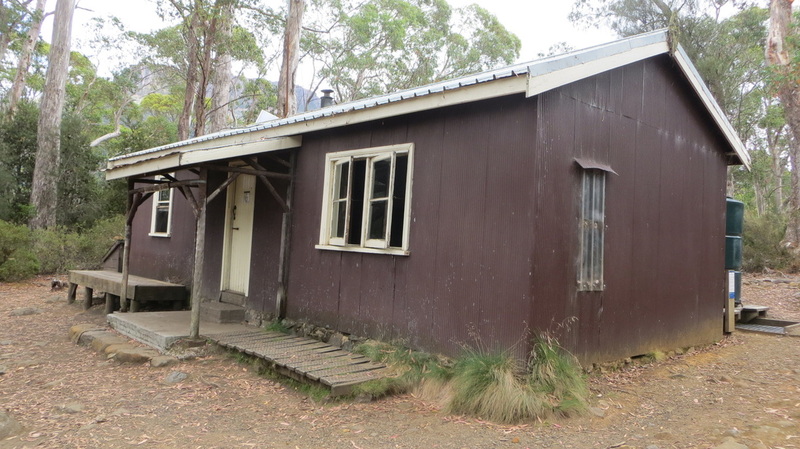 The toilet is located 100m west of the hut. 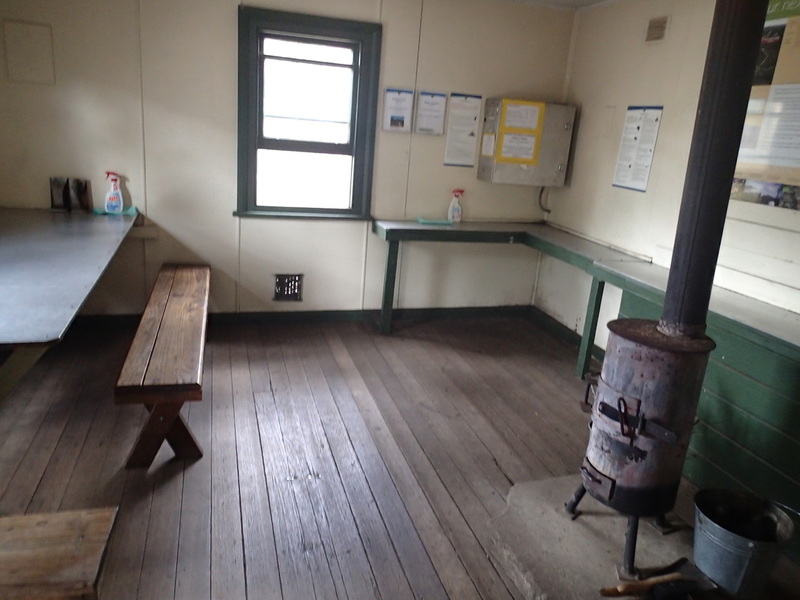 Located in the hut is a radio to call for a ferry if you haven't pre-booked a ferry in advance. 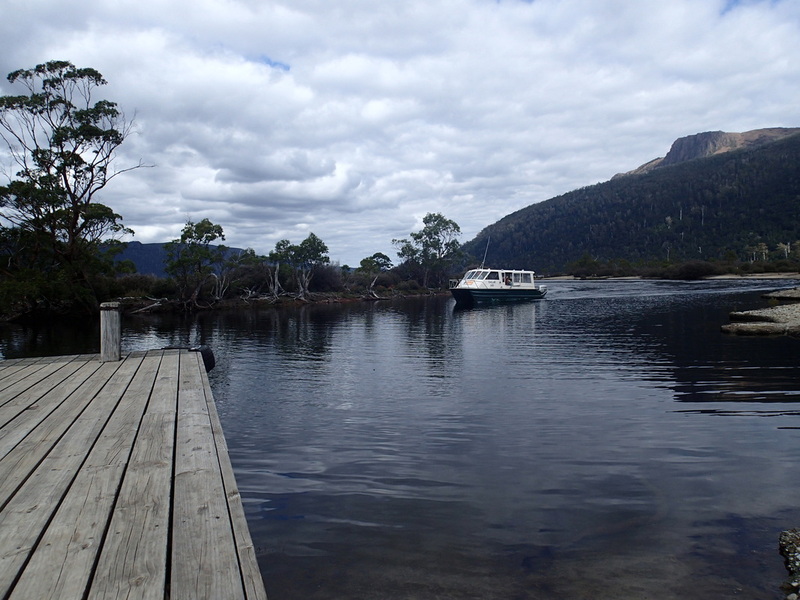 This is the most popular way to end your Overland Track experience. The ferry only runs on request or in peak periods, it is more regular.